Heat Industrial specialise in the maintenance, repair, servicing and installation of all types of commercial and industrial heating appliances. We are an independent company based in High Wycombe, Buckinghamshire, working in Bucks, Beds, East Berks, Herts, Oxon and North West London. 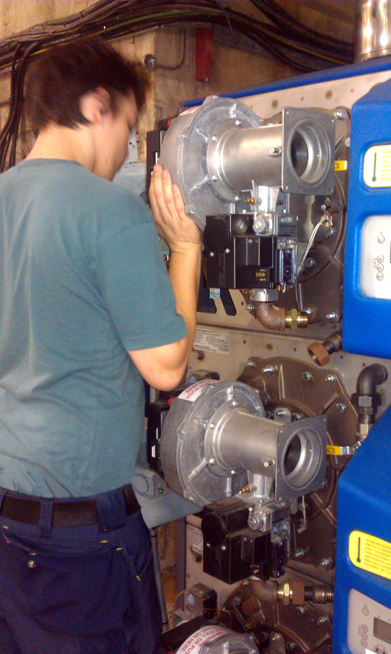 We use our own GAS SAFE and OFTEC registered engineers and pride ourselves on the high standard of work we undertake. We are fully independent and are not tied to any particular manufacturer. This allows you to benefit from completely impartial advice and service. Reznor, Powrmatic, Benson, WinterWarm, Roberts Gordon, Pak-A-Way, Ambi-Rad, Combat, Robur, Colt, Eco-Flam, EOGB, Selectos, Riello, Nu-Way, Potterton, Broag, Hamworthy, Ideal, Hoval, Grant, Andrews, A O Smith, Worcester-Bosch, Remeha, Baxi, Main, GlowWorm, Keston, Vaillant, Trianco, Viessmann, Gledhill, and Drugasar. or for a no obligation quote contact us.